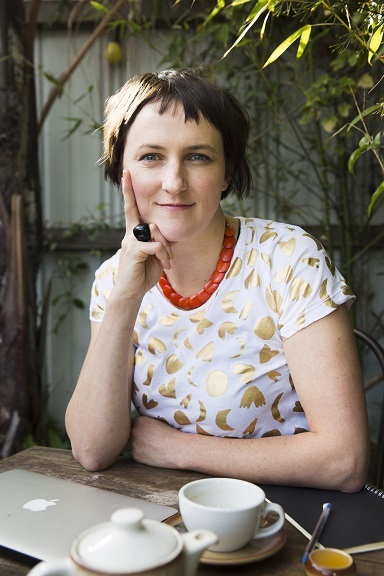 Cath Ferla is a Melbourne-based writer with a background in screenwriting, script editing, educational publishing and arts writing. Also a trained teacher, Cath has taught English as an Acquired Language (EAL) in Melbourne, Sydney and Beijing. 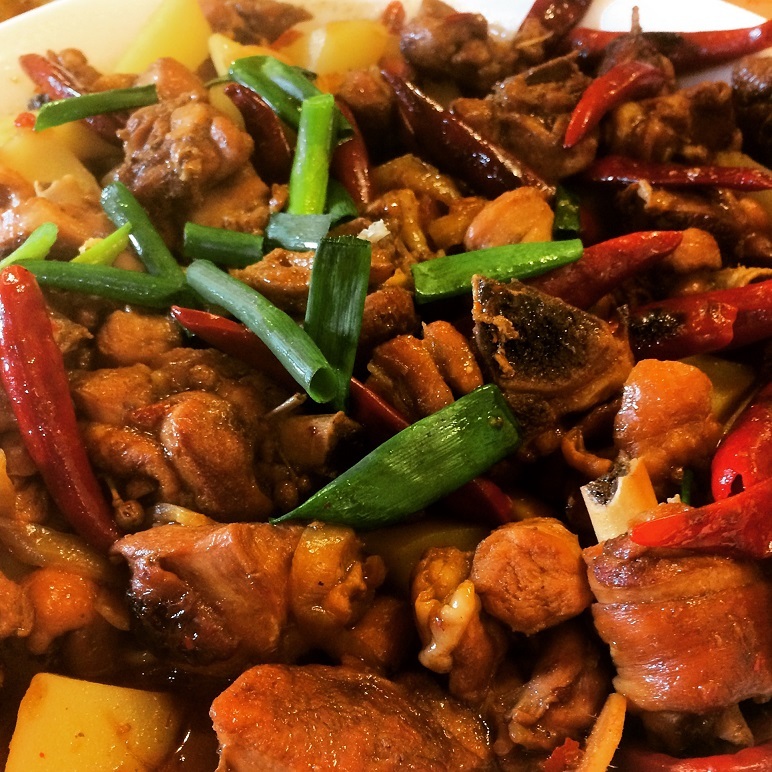 She has a keen interest in regional Chinese food and once took a solo food pilgrimage to China’s Sichuan province. 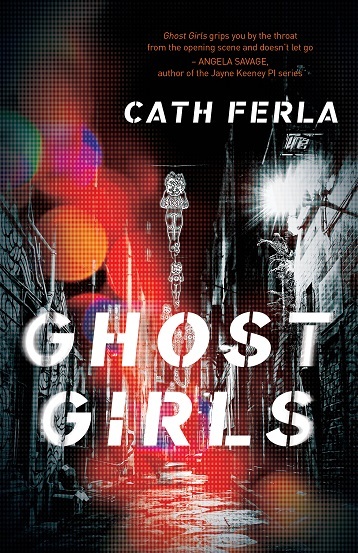 Cath’s debut novel is Ghost Girls, a crime novel set in Sydney’s Chinatown and featuring all the scents, tastes and textures of that place. Ginger, chilli and garlic are Cath’s favourite flavours. I’ve always been attracted to words on the page. As a young child I wrote tales when other children drew pictures and, as a teenager, I spent countless school holidays working on writing projects. I loved the process of turning the ideas in my head into sentences and paragraphs, and then massaging and shaping a story. Later, after an Arts (Hons) degree and some time overseas, I worked and took some post-grad study in journalism (although I didn’t complete it) and networked my way into a series of jobs: media monitor; journalist; journal editor; educational writer and author; TV script coordinator; TV script editor; TV screenwriter… and then author. I used my teaching qualifications (a Dip Ed earned in 2005) to soften the fall between gigs. Ghost Girls contains dark subject matter, but this is lightened by a strong focus on Chinese cuisine and tea culture. The book has been well reviewed by the major press (see my website for reviews) and also optioned by independent film company FilmCamp. Be warned, my book may make you hungry: more than one reviewer has advised not reading Ghost Girls on an empty stomach! I have a desk covered in paper, journals, books-to-be-read, newspaper clippings, odd bits of stationary and odder bits of kid-matter: clips, crafts, beads, sticks…. I therefore prefer to write from my dining table, which is generally clear. While I do sometimes enjoy writing from certain cafes, I find this can get expensive (and cause me to drink way too much coffee). My typical day is flexible! My children are now aged 5 and 3 and it is a busy household. In addition to fiction writing, I also write (and sometimes teach) for a living. I perform contract writing two days per week and make up any excess in the evenings. My fiction writing is restricted to mornings between 5.30-7am and late evenings (any time after 10pm). I find a kernel that resonates – from the news or from a life experience – and then I plot out a very rough story skeleton. I gravitate to female protagonists, but I don’t necessarily know my characters at this stage; this is a bare outline that serves mostly to give me a momentum, a sense that there is an ‘end’ even if I am not sure exactly how I will get there. In terms of finding my characters and the voice of a story, I turn to atmosphere or tone. I am quite a sensory person and I notice the feel of my environment and the texture of the weather and scents and sounds and small moments and how all of these impact on mood and connection and action. I will often find my characters by placing them into a scene that is quite heavily laden with sensory elements – the rain, the darkness, the hustle of a marketplace – and then seeing how they react. It is only later that I build character profiles. I let my characters teach me who they are and then I go in and refine them. I write because it’s in my bones. It’s just that thing that makes me feel whole. This is why I decided to make a living out of writing. I wouldn’t necessarily recommend this – writing for cash is a hard gig and the financial rewards are often meager – but I would highly recommend writing for the passion of it, maybe alongside other work, if that is what you love. Rise early or go to bed late; if writing is your art then doing it will always be positive. People, culture, food, cityscapes, suburbs, the everyday and the dark side. I am fascinated with everyday interactions, the things that are left unsaid or that are not talked about and the small details of life that are universally shared. I am also interested in the macabre: in what makes good people do bad things and what makes some people ‘bad’. The hardest part for me as a writer is never knowing what will come next. On a contract level this means always sourcing the next job; on a creative level this means always looking for the next big idea and then hoping it can be made real. The only way to conquer the worry and fear that can come from this situation is to put one word in front of the other – keep writing. I think it is beneficial for new fiction writers to understand the need for patience. Ghost Girls took two years to write and two years to get published. This is actually quite quick but for me it was excruciatingly slow. Believe in yourself and believe in your work and be patient. I would like to keep writing fiction and to also dip back into screenwriting. I would like to see more books by female authors reviewed in Australia’s national papers and I would like to see Australian content protected. Looking forward to reading it. I’ve just shuffled my pile beside my bed so it is now on top. And yes, would be lovely to see Tania Chandler next! Great to see Cath Ferla on WordMothers, Nicole. Ghost Girls is a great read (I wrote the puff for the front cover! ), and I really appreciate the light that Cath is shining on Australian and Asian cultures. Excited to hear that it has been optioned for a film, too. Agree! I thought it was a really interesting story and I loved the intermingling of cultures.